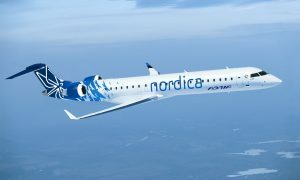 In addition to its previously announced summer destinations, Nordic Aviation, in cooperation with Adria Airways, will also be launching summer flights to Rijeka in Croatia and Edinburgh in Scotland. Nordic Aviation board member Erik Sakkov says the company is pleased to announce that these exciting new summer destinations will be added to the Nordic Aviation’s flight schedule. “I’m sure everyone will find something for themselves in our selection of summer flights,” said Sakkov. “Rijeka is a great holiday destination for families and adventurers wanting to explore the Adriatic coast, and Edinburgh with its rich historical heritage that makes it perfect for people who enjoy culture.” He added that Nordic Aviation’s goal is to offer Estonians convenient and suitable direct flights. Flights to Rijeka, a port city in the northwestern part of Croatia, will be taking place on Saturdays from 4 June to 24 September. Tuesday flights will also be added from 28 June to 23 August. It will be possible to fly to the Scottish capital Edinburgh three times a week starting from 28 May. The route will remain open until 3 October. 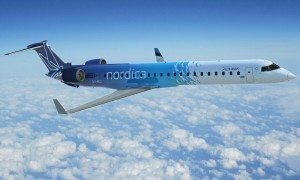 With the new direct flights included, Nordic Aviation, in cooperation with Adria Airways, will be organising flights to 15 different destinations in summer. In addition to Rijeka and Edinburgh, the route network of Nordic Aviation includes summer flights to Paris, Nice and Split, and year-round flights to Amsterdam, Berlin, Brussels, Kiev, Munich, Oslo, Stockholm, Trondheim, Vienna and Vilnius.